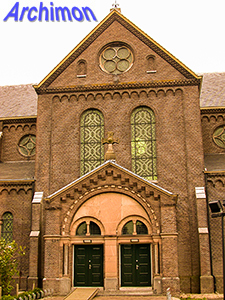 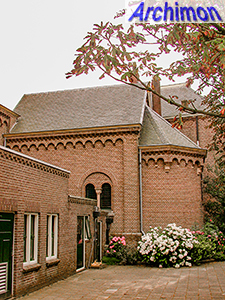 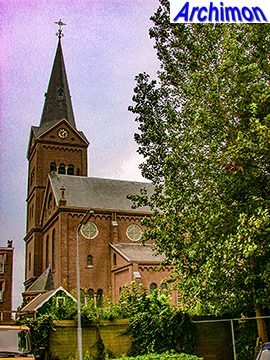 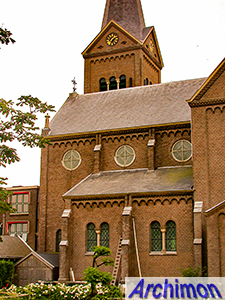 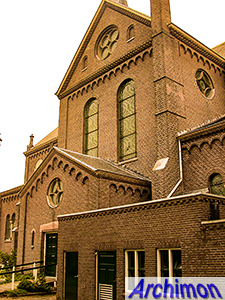 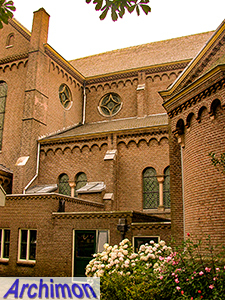 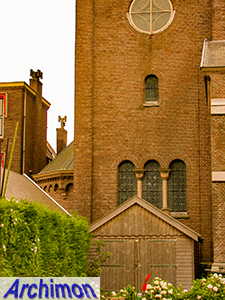 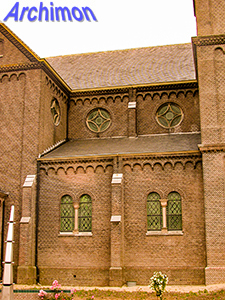 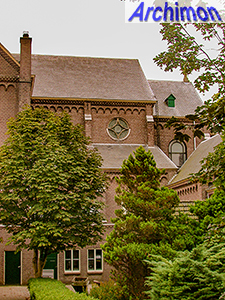 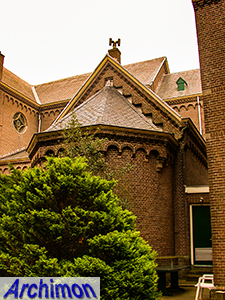 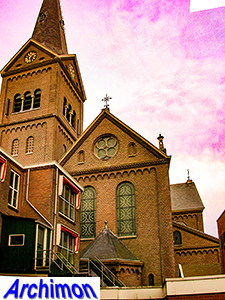 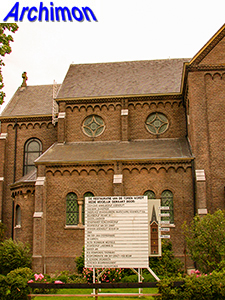 Assendelft remained a mostly catholic village after the Reformation. 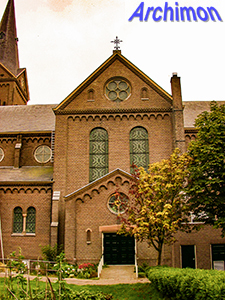 However, the protestant kept hold of the medieval church after freedom of religion was restored in the late-18th century, and replaced it twice. 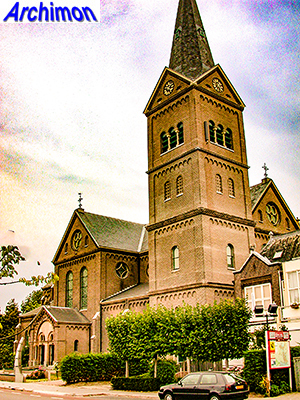 The catholics built a church of their own in 1835. 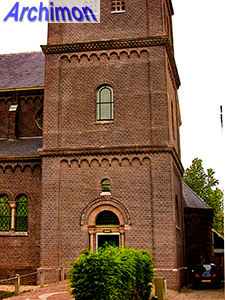 In 1887-1888 this was replaced by the current church. 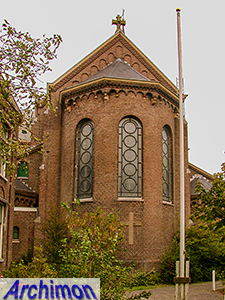 The architect was A.C. Bleys, one of a few architects who did not conform to the neo-Gothic standard for catholic chuches of that time. 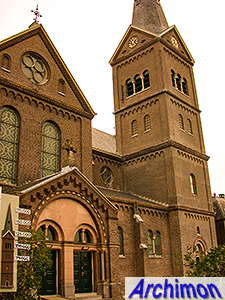 Unusual for that time, he designed a church in pure neo-Romanesque style. 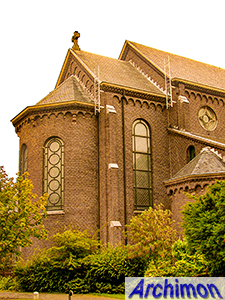 It's a three-aisled cruciform basilica with a square tower at the side of the front. 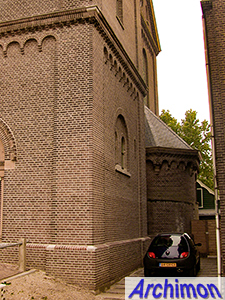 The choir has a semi-circular apse. 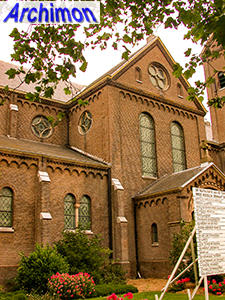 Similar apses close the side-aisles at the eastern side while there's also one in the western facade. 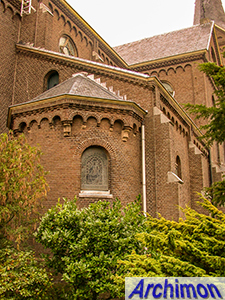 Entrances are in both transept-arms.